Over the past year, two different groups—Fair Districts Colorado and People Not Politicians—introduced separate ballot initiatives to reform the process for drawing legislative and congressional maps in Colorado. Rather than placing competing initiatives on the ballot, the two groups have worked with each other—and Colorado Common Cause—to draft new redistricting measures, which combine some of the strongest aspects of the previous proposals. These measures were presented to the Colorado legislature in the form of two bills: SCR18-004 and SCR18-005. Both bills received bipartisan support and passed both houses of the legislature unanimously. Now these two measures – Amendments Y and Z – must be approved by voters in Colorado’s 2018 general election. 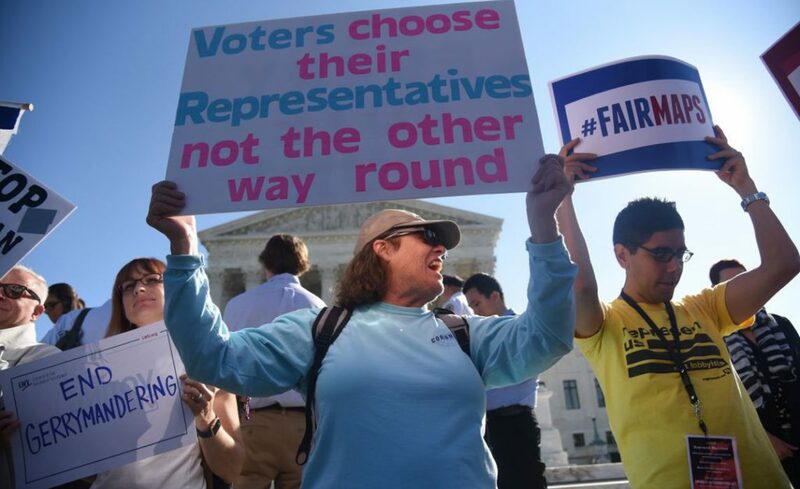 Colorado Common Cause believes that the goal of redistricting should be to draw districts that fairly represent the interests of the communities in our state. Such districts should not be drawn to advantage incumbents or to favor a political party. The best way to accomplish this goal in Colorado is through an independent commission process that is transparent, accessible to, and inclusive of, Colorado citizens. Amendments Y and Z will create independent citizen redistricting commissions. These commissions will be empowered to draw legislative and congressional district lines in order to achieve fair and equal representation for all Coloradans. Colorado Common Cause supports these measures because they are in line with our principles for redistricting reform and improve our current redistricting systems. For too long, our legislative and congressional districts were designed to represent the interests of political parties. To make districts that represent the people of Colorado, independent commission members must be selected by people other than politicians and political partisans. Both the legislative and congressional commissions will consist of members who are chosen either by random lottery or by appointment by a panel of three retired judges. This is a significant improvement from our current system in Colorado. Unlike our current process, Amendments Y and Z will require the redistricting commissions to have equal representation of Republican, Democratic and Unaffiliated members. Amendments Y and Z require that the appointments to the commissions reflect the state’s diversity. A panel of three retired judges must choose commissioners that reflect Colorado’s racial, ethnic, and gender diversity. They must also ensure that each congressional district is represented, and that one commissioner is from west of the Continental Divide. The requirement that the commission reflect this broad diversity is important to the process. Amendments Y and Z create a robust application process for those wishing to serve on a commission. This process eliminates individuals who have conflicts of interest, including professional lobbyists, candidates for congressional or legislative office, paid campaign workers, and anyone who has been an elected political party official or held an elected public office in the last three years. No such limitations exist in the current redistricting process in Colorado. These new limitations are critical to ensuring the commissions are independent and that new district lines are drawn for the benefit of all Coloradans. Amendments Y and Z require the commissions’ compliance with Colorado’s Open Meetings and Open Records laws. Colorado Common Cause has long supported open and accessible meetings. Only commissions and processes that meet these transparency standards can guarantee that all Colorado residents can participate and have a voice in the process of redistricting. Amendments Y and Z require commissions to hold public hearings throughout the state, and that access be provided electronically as well as in person. The commissions will have websites to allow Coloradans to post comments and engage with the redistricting process. This outreach to communities throughout the state is the only means to ensure meaningful participation. The new criteria set forth in 170 and 171 expands on the number of factors that should be considered during the district-drawing process. The criteria for drawing lines include: population equality, compliance with the Voting Rights Act, preserving whole communities of interest, preserving whole political subdivisions such as cities and counties, and compactness. The protection of communities of interest is important to assure fair representation of all citizens in Colorado. Amendments Y and Z improve on our current process, in which communities of interest and communities of color are largely absent from the redistricting process. Colorado Common Cause is committed to a democracy that reflects our communities, and we believe these amendments will move all of us to that goal. We strongly support Amendments Y and Z.